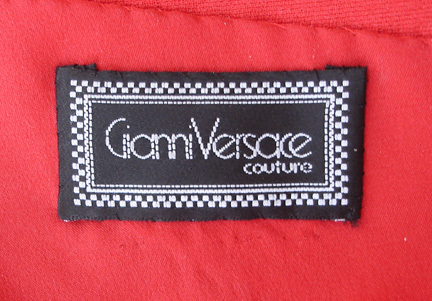 Rare early 90's Gianni Versace Couture fashioned in lipstick red fine lightweight Italian wool and silk. Gianni's signature wire sculptured plunging neckline with form fitting sheath skirt and seductive high asymmetrical leg opening completes the look. Criss-cross back; side zipper closure; fully lined. 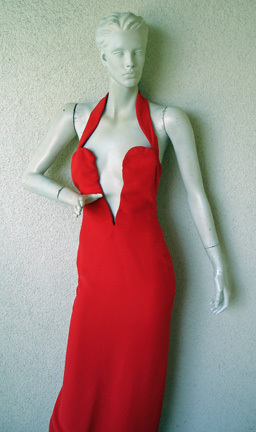 Bust: to 35": waist: 26"; hips: 35"; length: 60"